Have a little one bouncing off the walls? 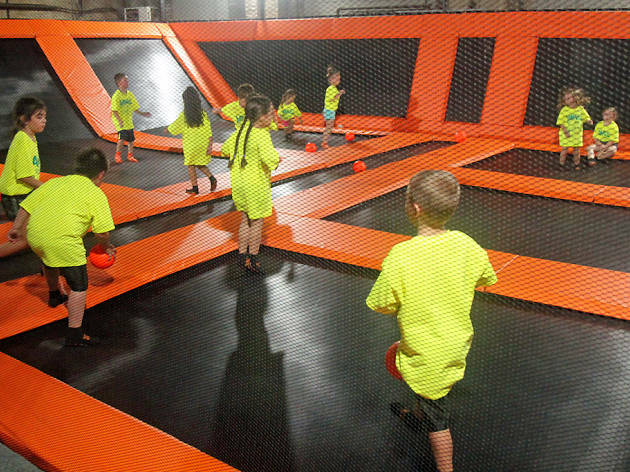 Let them get it out of their system at HFS City, which offers open run and jump times in its parkour, trampoline and ninja parks. 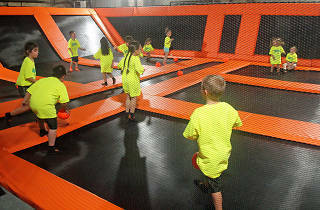 Kids aged 5 and up can climb walls, swing on bars and jump into a foam pit. Adventurous tots ages 2 to 4 can get in on the action, too, so long as they have their brave and willing caregivers close by. Prices range from $12 for 30 minutes to $30 for 120 minutes of play time. Monthly passes and memberships are available, too.